Specialist teachers and practitioners working to support Leicestershire children from birth until their entry into school who have Special Educational Needs and Disabilities (SEND). Information for nursery owners and managers. Information for early years practitioners, childminders and health visitors. Every childcare setting has a SENCO who will work with staff, children and parents to develop appropriate strategies to support a child's learning. 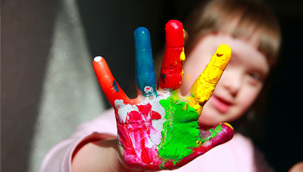 For parents of pre-school children with special educational needs or disabilities.